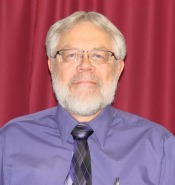 Council Member Van Stryland is serving his second term on the Pella City Council. His service began in January 2012. Van Stryland has a bachelor’s degree from Dordt College and a Master’s degree from the University of Washington. Council Member Van Stryland semi-retired in May of 2014 after 45 years of teaching a variety of subjects during his career: German, English, Spanish, Business, Driver Education, and History. Harold's current term expires January 1, 2020. Council Member Van Stryland is married. His wife Elsie and he have two adult children, Jill and Carl, and seven grandchildren. Council Member Van Stryland enjoys genealogy (his own and others’), motorcycles, the outdoors (especially hiking and fishing), traveling, translating, visiting historical sites and spending time with family and acquaintances. Council Member Harold Van Stryland may be contacted by calling 641.628.3269 or by email.